SSC-CGL is an exam conducted by Staff Selection Commission (SSC). This is considered to be one of the biggest exams to be conducted for graduate students. Candidates who clear this exam will be recruited for various posts in the ministries of government of India and in subordinate offices. A lucrative career awaits those who clear the SSC-CGL exam. No wonder then that in 2013, about 12 lakh candidates took the exam for a vacancy of 20,000 posts. The competition is high. Once you clear the SSC-CGL exam, depending on the post that you have applied for, you can steadily climb the career ladder. Some of the posts are quite sought after because of the high salary and the power that it offers in government organizations. SSC was established in 1975 and is an organization that is responsible for recruiting staff for various posts in the ministries of government of India and in subordinate offices. 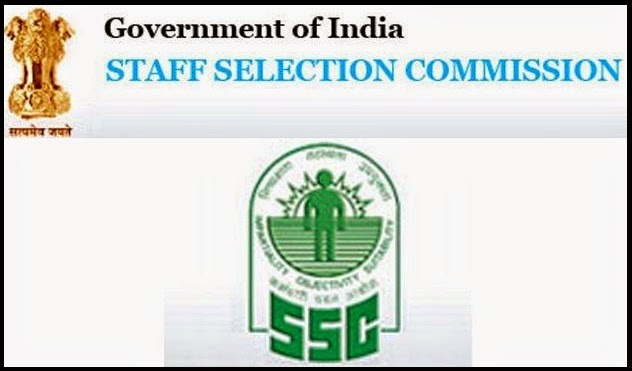 SSC recruits people for Group C (non-technical) & Group B (non-gazetted both technical & non-technical) posts in departments of Government of India, its attached & subordinate offices, except those for which recruitment is made by the Railway Recruitment Boards & Industrial Establishments. Tier - III is an interview round and one may have to take a Computer Proficiency and skill test along with it. Assistant in Central Vigilance Commission, Intelligence Bureau Group, Ministry of Railway, Ministry of External Affairs, AFHQ Group, Other Ministries/ Departments/Organisations. Tier –I: General Intelligence & Reasoning, General Awareness, Quantitative Aptitude, English General Intelligence & Reasoning This section will cover topics like Directions, Analogies, Odd Man Out, Ranking, Coding and de-coding, Blood Relations, Relationship concepts, Venn Diagram, etc. The degree of toughness of this exam is considered to be moderate. With good amount of practice, one can score good marks in this section. There are books available as well as tests online, which you can refer to to prepare for this section. This section will test the general awareness of the candidate. At the same time, it will also test the candidate’s knowledge about national and international current affairs and also matters that occur in everyday life. It will judge the candidate for his basic knowledge in these areas. The subjects would include History, Culture, Science, Economics, General Policy and Scientific Research. While, preparing the person has to take into consideration all the topics and ensure that he has a fair amount of knowledge about all of them. This section will test the candidate for his ability of using and understanding the numbers. The topics would involve Whole Numbers, Decimals, Fractions, Relationship between numbers, Percentage, Ratio, Profit and Loss, Discount, Partnership, Time and Distance, School Algebra, Trigonometric ratio, Heights and distances, Histogram, etc. Practice as many sums as possible to excel in this section. Learn short-cuts and tricks that will allow you to solve the problems easily and in less time. Time yourself while practicing these sums. This section will test candidates on their basic understanding of the English language. Topics would include comprehension and writing ability. To prepare for this test, you can refer to basic English books. Try practicing different comprehension so that you have an idea of what to expect in the exam. Learn few new words every day, and also refer to Grammar books so that you can brush up the basics of grammar. If you can build a habit of reading the newspaper regularly, it can act to your advantage. This test will be objective in nature and will have multiple choices. There will be negative markings too - .25 per wrong answer. So, you will have to choose the answers wisely. In fact, it is recommended that you choose the answer only if you are 100 percent sure that you have the correct answer. Quantitative Abilities will have topics covering Number System, Percentage, Time and Work, Profit and Loss account, Average, Time, speed and distance, Algebra, Geometry, Trigonometry, Statistics. Candidates must have a fair knowledge on all these topics. So, practice accordingly. English will have topics like Finding errors, Fill in the blanks, Synonyms and Antonyms, Wrongly spelt words, Idioms and phrases, Para jumbos, One-word substitution, Active and passive voice, direct and indirect narration, reading comprehension. The degree of toughness is considered from easy to moderate. To prepare for this section, take as many tests as possible. There are numerous tests that you can take online too. All those who clear Tier – II will be called for the interview and skill test round. In this round, you will be tested for your personality, your computer efficiency and skill test. Groom yourself accordingly. Prepare mentally on the basic questions that will be asked during your interview round – like your educational background, your future plans, general awareness questions, etc. Also be thorough about the post that you have applied for. Learn all about it and the responsibilities it carries. In this round, you should come across as a very confident and intelligent person who is simply suitable for the job. Always keep yourself abreast with the syllabus as soon as it is announced. Be thorough about the syllabus and do not leave out any topic. Have a plan as to how to answer the maximum number of questions in the stipulated time. While, preparing, solve the problems by timing yourself. This way, you can be rest assured that you will manage time very effectively in the examination hall. Solve as many question papers, mock tests and online tests as you can. The more you solve, the more confident you get. Learn tricks, maths short-cuts, memory methods, so as to solve the tests papers in an easy and efficient manner on the day of the exam. Take the help of a coaching institute if need be. Last but not the least, be confident of yourself that you are going to clear the exam. Once you are confident, then no exam will be too difficult for you to clear.